If you have any doubts about it, the fifty percent divorce rate in America should dispel them. Marriage is hard work. Even the best, most harmonious of them often involve times of loneliness and strife such that things can seem pretty bleak. Throw the stressors (and joys) of children and careers and extended families into the mix, and your average marriage can seem like a powder keg just waiting for the right spark to set it off. Some might wonder why so many even bother when marriage can be so fraught. The answer, of course, is that, when it’s working, few joys in life can compare to the closeness and the intimacy that come from living life with a trusted and adored partner. It’s with that in mind that I’ve put together the following list of marriage tips for the modern couple. I care about marriage, and I want to help couples make their marriages last for the long haul. 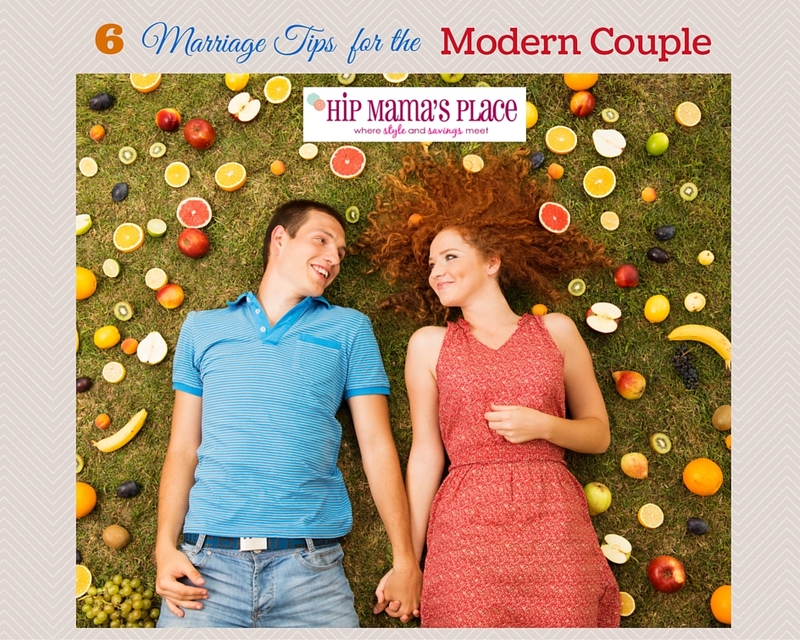 So, read on if you and your marriage are in need of a little help. 1. Show frequent gratitude. This revolves around the big things, of course, but often it’s the little things that mean even more. If your spouse routinely cooks dinner or takes out the trash, don’t let complacency breed contempt. Routinely thank him or her for those routine chores. Such thanks show your spouse that you notice the hard work and care he or she puts into your life together. Leave little love notes for them to find that describes how thankful you are for what they do for you. 2. Own up and forgive. When you’re in the wrong, admit it. Few things can be as crazy-making for a spouse as when his or her partner refuses to own up to wrongs. And when you’re in the right, give your spouse the time and space necessary to realize s/he is in the wrong and apologize. Crucially, never lord your rightness over your partner. That’s never something borne of love. Forgiveness is a must. 3. Be encouragers. After a year or two of marriage, most couples discover they have far less in common than they once thought. They are, in fact, different people with different passions and goals. In the long run, that’s probably a good thing, but only if you celebrate your differences and encourage your spouse in passions and goals that might at first seem frivolous to you. Never knock down something your spouse has shown an interest in. That’s a type of rejection, and rejection hurts. When your partner is going through a tough time (a season of depression, for instance), do your best to help him or her de-stress. 4. Talk to each other (and really listen). No, I don’t mean talk about the kids, the bills, or the to-do list for the coming week. I mean talk like you once did when dating. Talk about books and film and music, talk politics and current events, and so on. Talk passions, dreams, and lofty hopes for the future. Such talk helps you stay connected with who your spouse is today and tomorrow (we all change, don’t we? ), rather than relying on memories of who your spouse once was. Pay attention to what each other say, what each other’s interests are, and get little gifts for your spouse, something personalized that will show how much you listen and notice. 5. Temper expectations. In other words, be realistic. About what? About who you think your spouse is and should be. About what you think your spouse should do for you. About what marriage itself can or should be. Unrealistic expectations in one or both spouses can create a marriage full of crushing burdens and constant disappointment. 6. Protect and nurture trust. Few things are more important than trust in a marriage. Without it, every other aspect of the relationship stands on shaky ground. So, how do you protect trust? By doing what you say you will, by being home when you say you will, and by behaving when away from your spouse in a way you know he or she would approve of. No flirtations at work. No slipping off the wedding ring while talking to a cute barista at the local coffee shop. And if you do such things, confess immediately and begin the work of rebuilding trust.